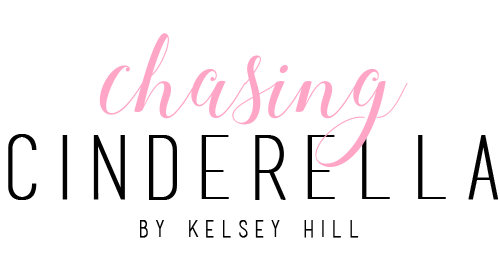 Faux leather skirts have been a huge trend the last couple of months, so I'd be surprised if any of you didn't already buy one, or at least think about buying one! If you're like me, you get excited about new trends, but then have trouble trying to figure out how to style said trend (in this case, the leather skirt). So, that being said, I wanted to make it a little easier for y'all and give you 3 easy ways to style your leather skirt this holiday season! An easy, and probably the most popular way to style your faux leather skirt is to dress it up. 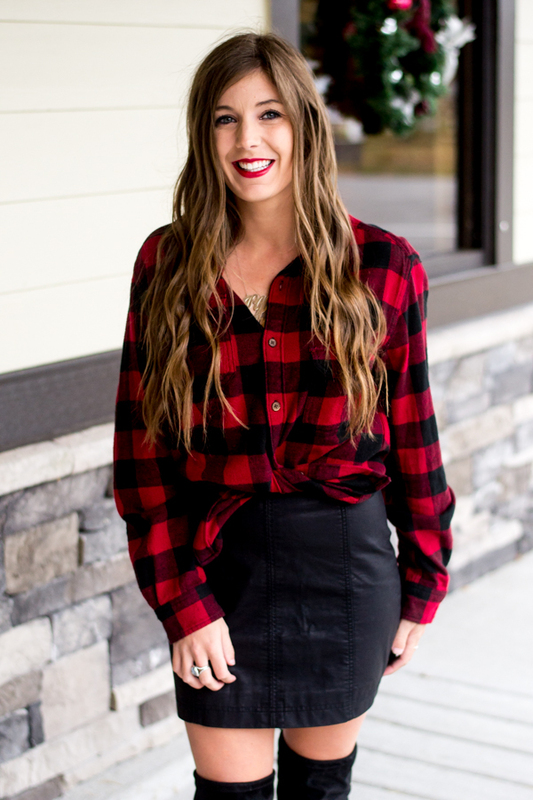 Whether it be for a holiday party, or Christmas Day, you cannot go wrong with pairing your skirt with a red top! Red is such a festive color this time of year, and will pair with your black leather skirt perfectly. Another item of clothing that I love to wear this time of year is a faux fur vest! Whenever I need to dress up an outfit, I am always reaching for my faux fur vests! Another way I would recommend styling your leather skirt is by dressing it down a little bit. Plaid is such a festive pattern, and would pair perfectly with you skirt! The flannel I am wearing in the below pictures is pretty thick, so I decided to tie it up. 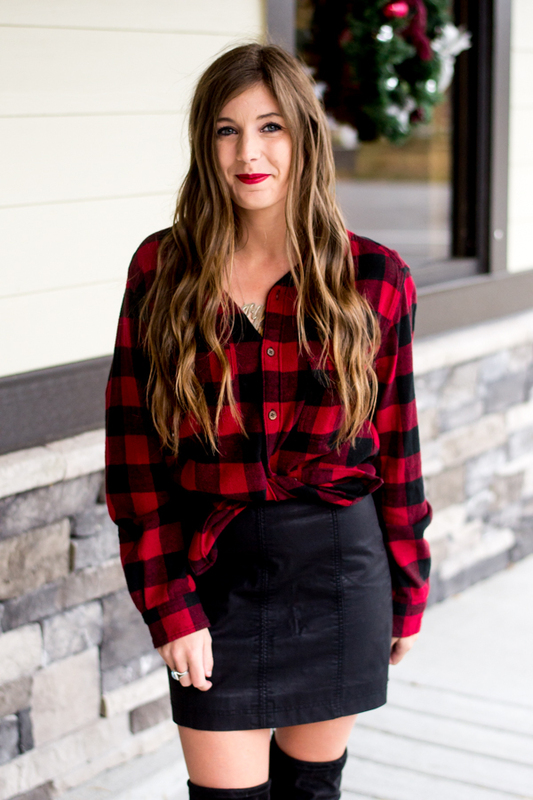 If you have a thinner flannel/plaid top, it would look super cute tucked into the skirt! The third, and most fun way, that I recommend styling your leather skirt this holiday is with a little bit of funk! I am all about the graphic tees, and it's so fun to wear them around the holidays, so why not wear one with your leather skirt?! This is definitely a more dressed done and fun way to dress for the holidays! I hope this post can at least help one of you style your leather skirt this holiday season! For all of you that have already worn your skirts, how did you style them?! I would love to hear in the comments below! Girl! These looks are hot! I love the one with the buffalo plaid the best! These are such great options! I love every single look! I seriously love all of these looks! And I can see myself wearing all 3 of them! Loving all these looks! I’m going to try the one with the plaid shirt! Love it!! The funky style is definitely my favorite! I love it girly. I love this - especially the dot stockings! I love these outfits, the color combinations look great! These are all such great ways to style a black skirt. I love it with the flannel! I think I need to get a leather skirt! You look so cute! This leather skirt is SO cute! Love it paired with your black boots and flannel, so chic! These are all such adorable outfits. 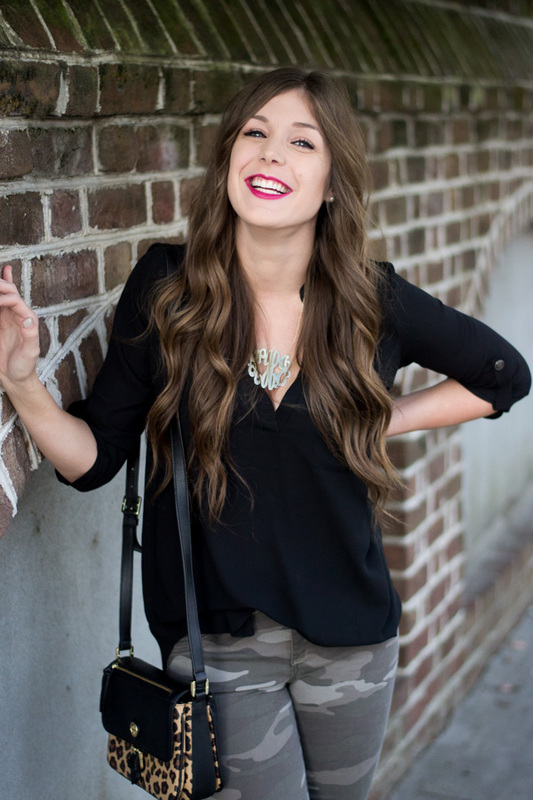 My leather mini is one of my favorite go-to pieces, and you've given me some serious inspo for how to wear it! I love all three, but #2 is my favorite! So cute. #1 and #3 are hands down my faves! Love all the ways you styled this skirt. It's so versatile! All of these looks are super cute, but I love, love, LOVE the dress is down look! Such cute looks- my fave is the buffalo plaid!